In astrology, there are nine gemstones as well as some very special gemstones. These gemstones are achieved after considerable research. They are very miraculous gemstones. These gemstones affect many planets. Usually, one cannot get losses due to its use. They are not costly. In special conditions, these gemstones are very beneficial. Opal: It is very effective gemstone. It has many colors. However, white or light blue color opal is extremely beneficial. It impresses three planets. It directly impress water element. Opal is extremely beneficial for Cancer sign. It is beneficial to control emotions. Opal is wonderful gemstone to balance mind. Libra and Taurus sign wear opal. Venus can be strengthened by Opal. Opal creates harmony between spouses. Love relationship can be strengthened by Opal. It increases fame. Opal can be used as option of pearl. Peridot: It is shiny green gemstone. It controls two planets. 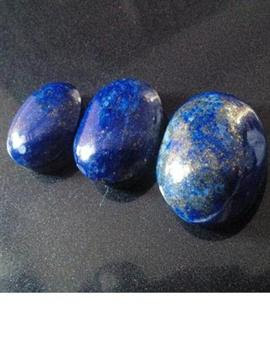 It is powerful gemstone for knowledge and intelligence. It is extremely beneficial for Gemini and Virgo sign. This gemstone is beneficial to get rid of bad habits. It gives powerful speech and attraction. Peridot increases physical energy. It decreases flurry. It gives relief to hurt feeling. It protects us from diseases and injuries. Peridot reduces anger. It fulfills desire. Lajward: It is blue color gemstone. It has golden splatter. It controls two powerful planets. Lajwart protects us from injuries. It is beneficial gemstone to remove fear. You can wear it for spiritual benefits. The more blue it is, the more effective it will be.